Home - Redland City Bands Inc.Redland City Bands Inc.
“Providing musical enjoyment and entertainment in the Redlands”. 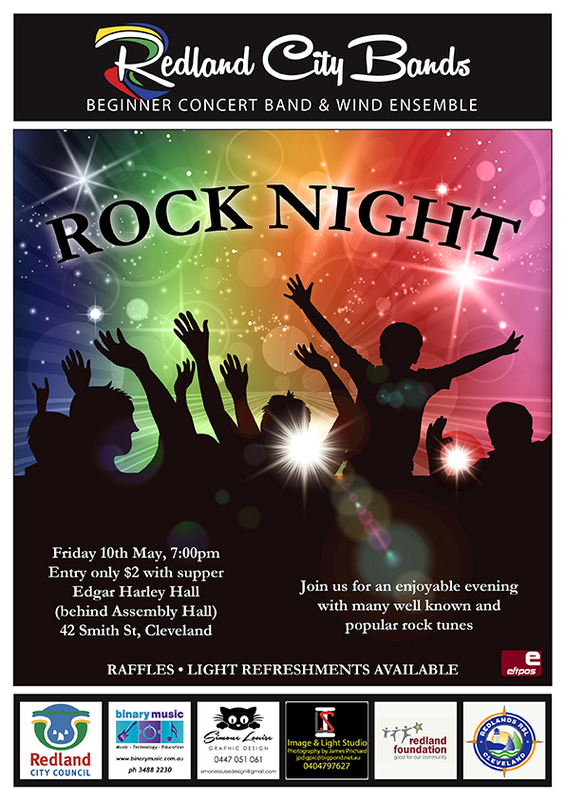 Join us on Friday evening 10th May for an entertaining evening of rock classics. 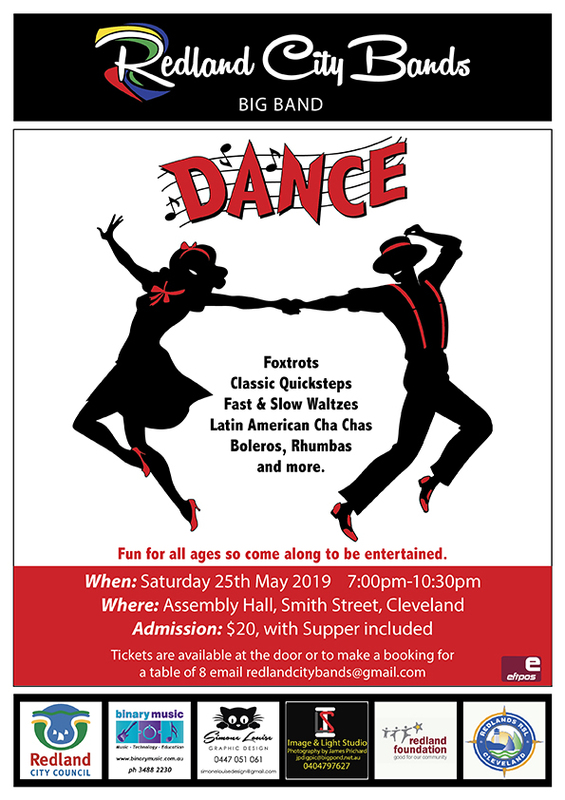 Redland City Bands Inc. is a not for profit organisation that was founded in 1984. With a strong focus on community and a membership of over 100, we offer the opportunity for musicians of all ages and abilities to come together. We offer Two types of band that you can play in. The first of these is a Concert Band. Alto, Tenor and Baritone Saxophones. Trumpet or Cornet, French Horn, Trombone, Euphonium, Tuba. We also have Jazz bands based on the 1930’s Big Band instrumentation. We welcome new players at all times and we would love to have you come along and have a go as we have a range of these ensembles from beginner to advanced levels to suit you. We are still in need of some more players in particular for Concert Band, especially on Clarinet, Alto Sax, French Horn, Oboe, Double Bass and Bass/Alto Clarinet. If you are interested in improving your skills and meeting new friends, why not come along to our rehearsals and see what you think. The times for these are listed under “our bands”. No auditions are required and we offer attendance at three rehearsals before we ask for fees to be paid. Please feel free to contact us at redlandcitybands@gmail.com or telephone Mr Peter Francis on 38245808 for more information. Looking to hire one of our bands?